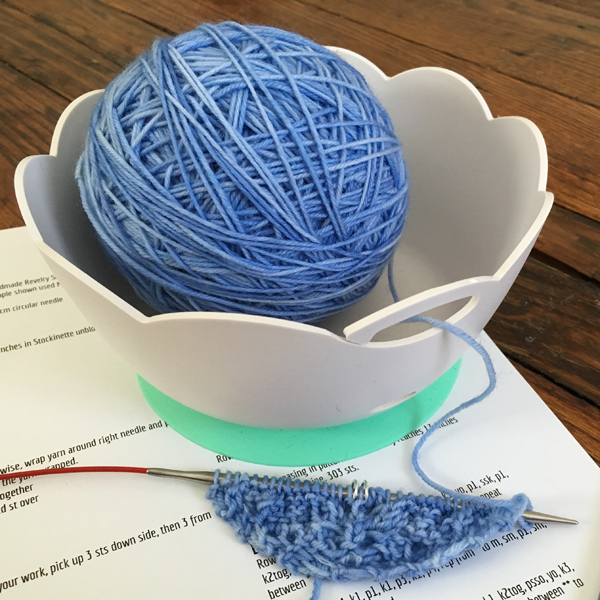 Meet one of our new favorite knitting accessories: Yarn Valet's yarnBowl. This lightweight, plastic bowl has a non-slip base, which keeps it stationary, even on a plane or in a car. It is easy to stash in your knitting tote or carry on for easy, on-the-go knitting. To use, just put your wound skein of yarn in the base of the bowl and thread working yarn through the divided opening. As you knit, your ball or cake will stay in place (no more yarn rolling all over the floor!) and not tangle.